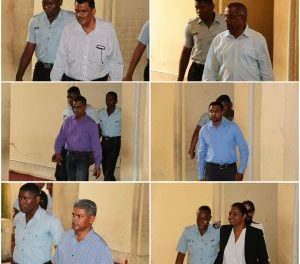 CMC – Six people including two opposition legislators and a former deputy permanent secretary were charged on Friday in connection with a multi-million dollar fraud at the Guyana Rice Development Board (GRDB), dating back to 2011. The six, all former GRDB board members were slapped with fines totalling GUY$400 million. They were also ordered to surrender their passports. The court was told that the opposition People’s Progressive Party/Civic (PPP/C) legislators, Dharamkumar Seeraj and Nigel Dharamlall along with GRDB head Ricky Ramraj, former General Manager Jagnarine Singh, former GRDB board member Badrie Persaud and Former Ministry of Agriculture Deputy Permanent Secretary, Prema Roopnarine, conspired to omit entering different sums of money into a ledger. Dharamlall was only charged in relation to the 2011 and 2012 omission while the others were slapped with all five charges. 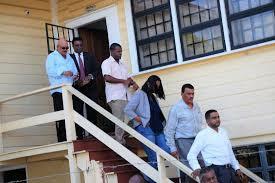 The six were charged following investigations that were prompted by the findings of a forensic audit. All of the Attorneys asked that their clients be released either on their own recognisance or reasonable bail as the prosecution requested more time for the filing of statements. Defence Anil Nandlall argued that the charges do not relate to any missing money but rather to an omission to make an entry into a ledger. He said that is largely a clerical function and the board members should not be held responsible for it adding that the error is miniscule and that the Auditor General, a Chartered Accountant and the Public Accounts Committee of Parliament did not raise any red flags. Nandlall also questioned why from a board of 15 members, only six were identified to be charged. 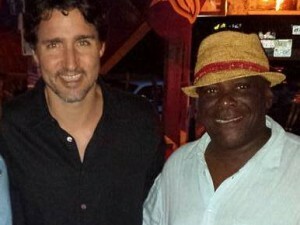 The matter has been adjourned until June 22.